I’ve been a huge fan of audiobooks for the past few years. I discovered the love of them when we made a cross-country trip. Ever since, I am always searching for new audiobooks to download and listen to while I’m doing miscellaneous things. It never occurred to me though that audio dramas (yes, this is different from audio books) would be something I would fall in love with until recently — when we started enjoying audio dramas from Family Audio Adventures. You hear audio and “something” following which means “story”, and you assume all are the same, right? Well I did! AudioBooks are books read by someone who usually has an engaging voice (so it’s not super boring or monotone) and they read through a book or story cover to cover. Pretty straight forward. Audio Dramas are stories and dramas told with music, sound effects, and intonation that pulls you into the story unfolding. Your heart races with excitement as you hear the super adventurous parts, your skin gets goosebumps when you hear the unfolding of something unexpected, and you find yourself picturing the drama in your mind as if it were a movie on the big screen. Audio Dramas are like movies or theater, but instead they are in audio version. Think adventure movies like Lord of the Rings or Narnia. They are super action packed and attention grabbing in their entirety! There is so much entertainment options available now to kids, parents, and just for the entire family in general. We have smart TV, smart phones, tablets, laptops, notebooks, and I’m sure there are others. 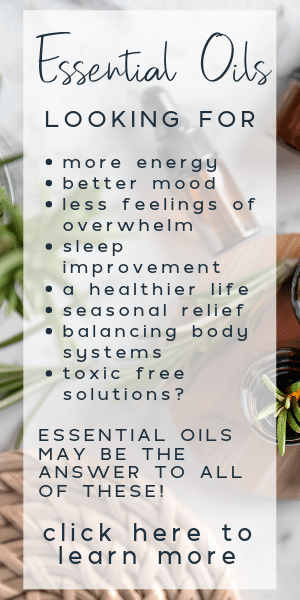 While all these things are so much fun to have and use, they have pulled apart the interfamilial connections. We’ve brought these technologies into our home, these devices, and they’ve slowly pushed each family member into their own world. Families rarely have opportunity (or desire) to connect and enjoy something together outside of maybe getting outdoors to play a sport or just do something fun outside. But what about those times we just want to hang out at home and enjoy family time? That’s when it becomes hard, right? I mean seriously think about it. Picture your family at home on a Friday or Saturday night. What would you be doing? Most likely something involving a screen was in that imagery right? 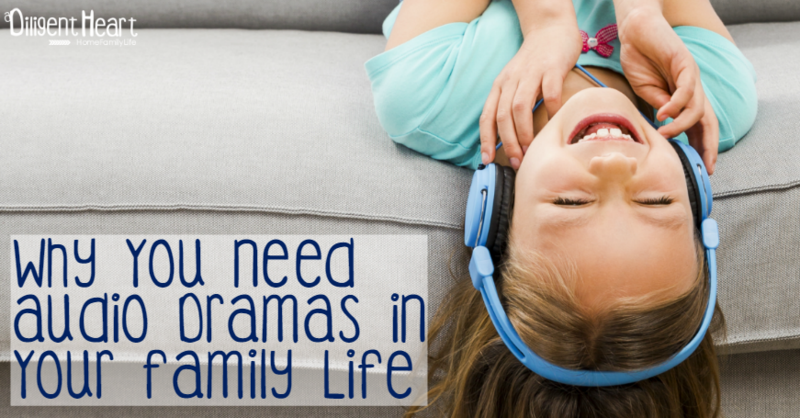 Audio Dramas are a fantastic way to entertain your entire family (yes parents, you guys will totally dig them too!) while also creating a setting of family connection and fun. We need more of us and less chaos of the world. 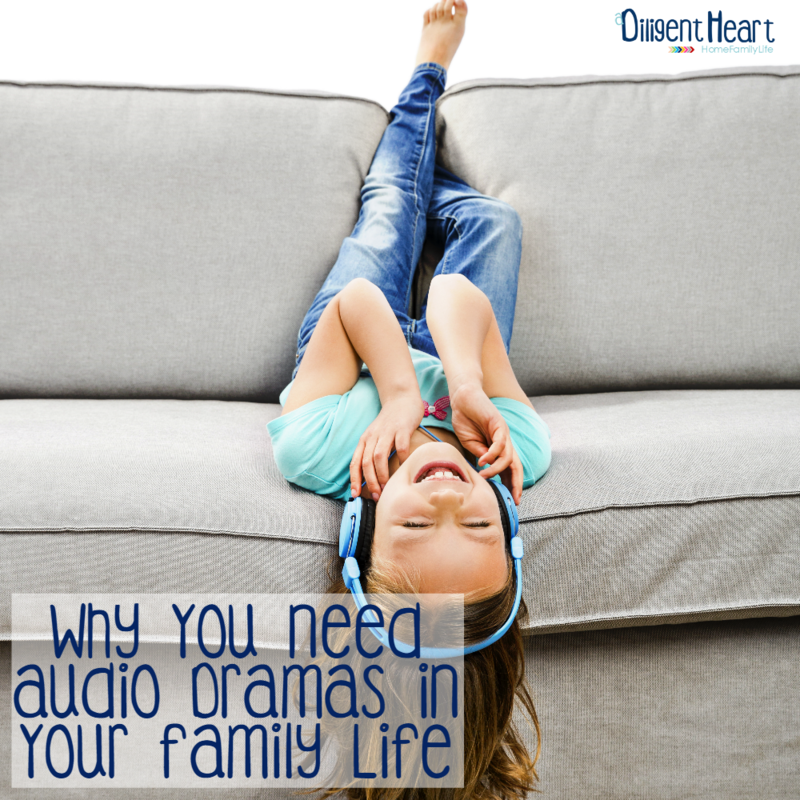 With Audio Dramas you’ll be able to enjoy some fantastic entertainment without letting the chaos of the world disrupt your family bonding time. This season we are totally having a blast working through an audio series from Family Audio Adventures. They are audio dramas that are legit family friendly entertainment that you and your whole family are sure to love! 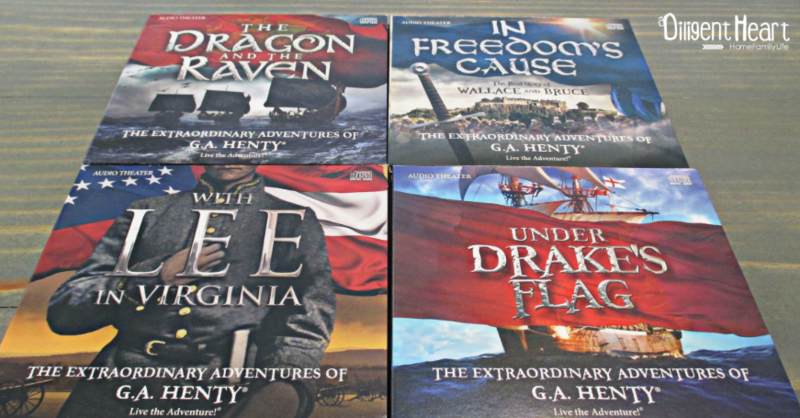 The series includes Under Drake’s Flag, In Freedom’s Cause, With Lee in Virginia, and The Dragon and the Raven. You can find all of them here along with a video trailer for each! Each of the stories are two CD’s and a total of 2.5 hrs. (both CD’s combined) except Under Drake’s Flag which is 2 hrs. between both of its CD’s. We’re loving this series so much! The stories are adventure packed and excitingly engaging for all of us! I find myself migrating closer and closer to the speakers as the stories are unfolding. It’s THAT attention grabbing! The way the story is told, and its clean and family friendly content, offers the opportunity for kids to see character choices unfold in such a way that they have never experienced nor could experience in another setting in such a way. Did you know that you’ll hear some very familiar voices throughout the series!? Actors such as Joanne Froggatt (Downton Abbey), Billy Boyd (Lord of the Rings), Skandar Keynes (Chronicles of Narnia), James Cosmo (Braveheart), Sean Astin (Lord of the Rings), Brian Blessed (Star Wars), John Ryhs-Davies (Lord of the Rings), Sylvester McCoy (The Hobbit), and so many others!!! 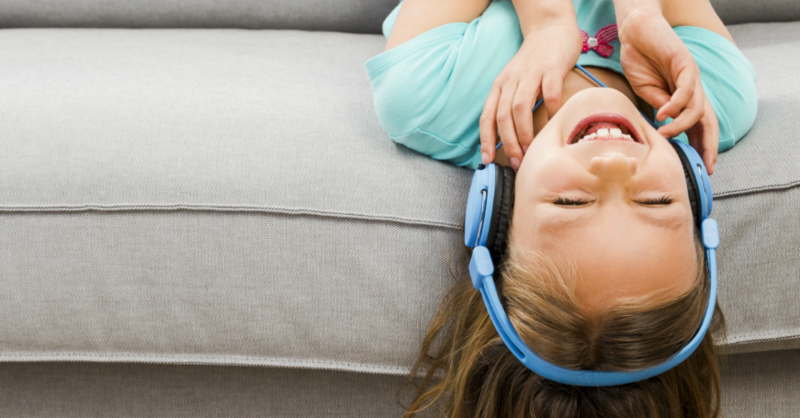 When you engage a child’s auditory senses they create the imagery in their own mind. It’s such an amazing way to engage and stimulate their imagination! 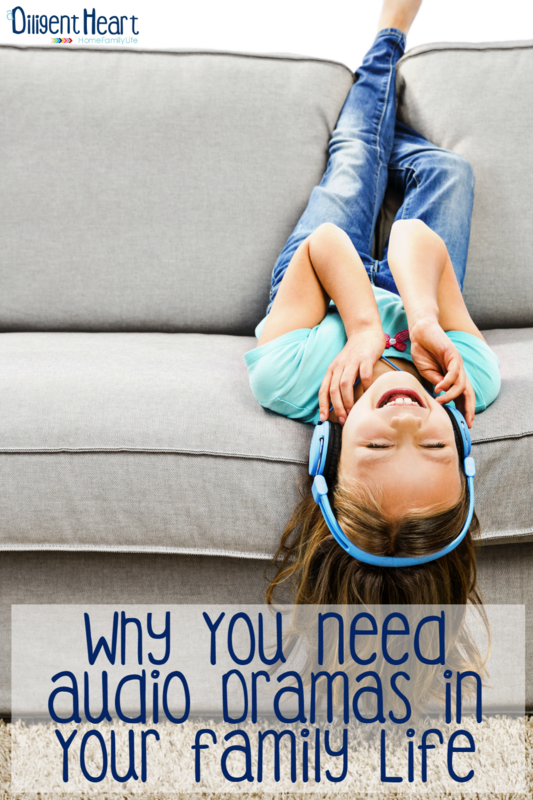 Connect their auditory experience with their comprehension skills! It’s a great learning practice! 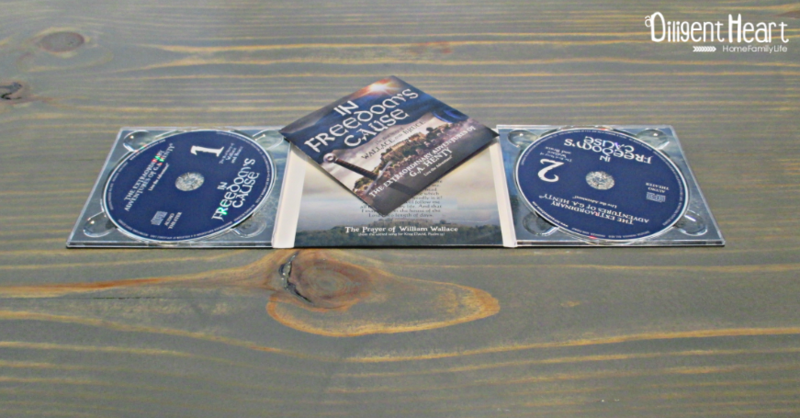 Three of the four audio adventures come with either a study guide or a link you can go to download the study guide. I’ve broken it down for you below as far as which comes with what. The only one that didn’t come with a study guide or a link to download it was The Raven and the Dragon. What’s the study guide all about? They are not overly complex but they ARE an excellent guide to help you get your kiddo thinking about that they just enjoyed in the audio drama. They contain questions, some deeper thinking questions too if you want to go in further to details, and it also has some words that you could use like vocabulary words. These words are those that your child may not know so it’s a great way to help them build that vocabulary! Head on over to Family Audio Adventures and check out the trailer videos for each of the audio dramas! I’m sure you are going to love them as much as we have!! Also, the pricing they have on this is AMAZING!!! You can snag ALL four adventures of this series for less than what it costs a family of 4 to go out and eat at your average family restaurant like Chili’s. With the holidays right around the corner this would be a wonderful time to pull back from all the screen distractions and enjoy this series with your family! They’re a great way to connect again and you’ll have such a blast doing it!